Complicated Art Designs: JPEG files work best if using graduated colors, blends, and photos. Outdoor art over 24" x 24" Actual size at 150 dpi works well. Indoor art under 24" x 24" Actual size at 300 dpi works well. Text and Graphics: PDF’s work great. Please review your file before sending. You must convert fonts to paths unless we are changing text. Using PMS Colors? Listed below is how we process Pantone Matching System colors. We match Pantone colors by using formulas by PPG Matthews Paint at our mixing station. We match Pantone colors by using formulas by NazDar inks at our mixing station. We digital print Pantone colors by using CMYK inks to the values shown in the Pantone / CMYK conversion book. Please note, and understand that CMYK conversion cannot exactly match all Pantone colors. If you are critical about color, order a print proof for $35.00, otherwise you are approving the PMS to CMYK conversion. 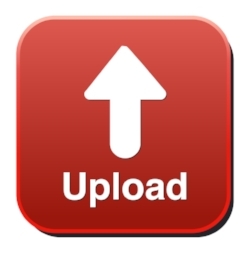 Click the button above to upload your files to our FTP!